Are smart meters just too complex? Are they veritable blackboxes (well, beige) of assorted electronic components, jury-rigged and thrown together in an off-shore factory, and then slapped onto houses without proper safety testing? Sure, we all have electronic devices in the home, but through this particular device passes all the electrical current for the house. That’s a set-up asking for trouble. 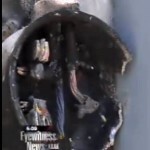 A lawsuit made available to us recently detailed just how such faulty equipment could end up attached to the electrical wiring on millions of homes. In Alabama in 2009, a Sensus engineering employee named Don Baker was fired for repeatedly alerting his management to the presence of a multitude of dangerous defects in the smart meter they were manufacturing (model iConA). 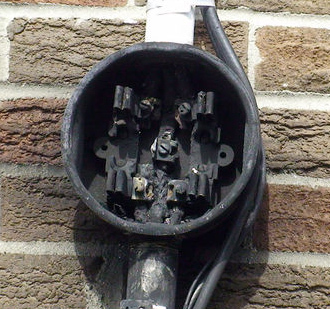 As he states in the complaint he filed, this whistleblower reported serious flaws in design and functioning that could lead to electrical danger, overheating, and/or fire. 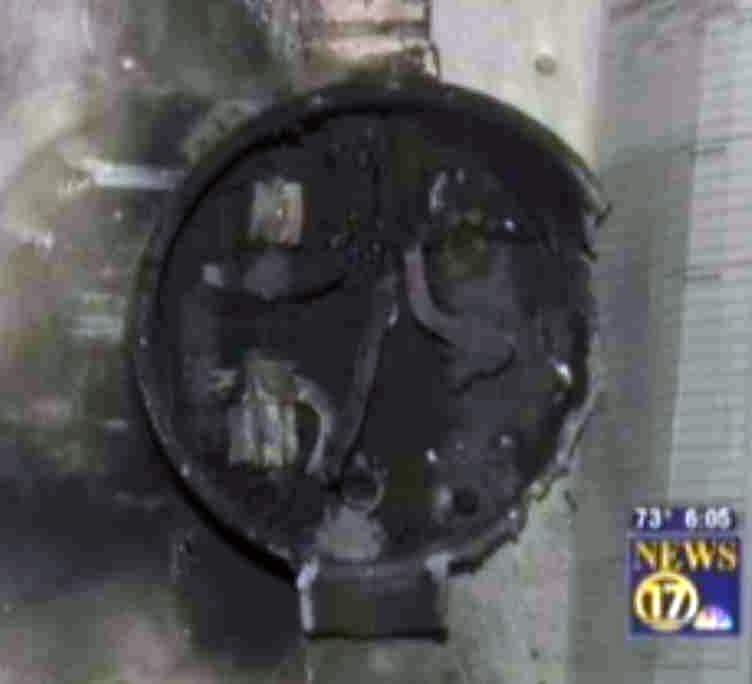 In fact, the failure rate of the meters was twenty times higher than it was supposed to be, and the engineer contends that at least two house fires were the result. 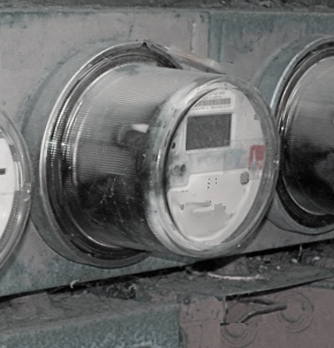 Sensus meters are used by utilities across the U.S. and in Canada, such as PECO, Alliant Energy, Alabama Power, and NVE. In May 2010, Mr. Baker filed a complaint [PDF]. The type of suit is called “qui tam”, where an individual alleges harm to his government. This complaint alleges that the manufacturer and the utility companies received federal monies but provided a defective product. The U.S. Attorney’s office in Alabama declined to pursue the case, because the utility said they had not received federal money for the metering project; but the allegations about the dangerous defects in the smart meters made in the complaint have not been refuted or even addressed. Cutting corners in business and manufacturing is hardly something new; the difference here is just what is at stake: this product is installed in every house in a utility service area, and the electrical current for the house runs through it. Even a half-percent failure rate can result in serious amounts of property damage, or even death, given the total number of “customers”—though this word implies a voluntary acceptance of the product, when in fact installation of smart meters has been very largely involuntary. Truly optional consumer goods actually get more testing than smart meters. The sort of defects and failures enumerated in this suit might well have been caught with an independent safety-certification process such as Underwriters’ Laboratories (UL). But these Sensus iConA smart meters, and every other type of smart meter, have never been subjected to such testing. Baker submitted the information he had to the Office of the U.S. Attorney and the FBI in Feb 2010. He contends that the defendants named in the suit, Sensus, Southern Company, and Alabama Power, “perpetuated a fraudulent conspiracy” to obtain $165 million from federal stimulus funding. These meters were never tested—for either for safety or performance—instead they went straight to out for installation. Then Sensus altered the components and design—again without safety testing. Only one percent of the Sensus meters were tested—for accuracy only—but never on a house while connected to the grid. “It quickly became apparent that the meters were fundamentally unsound.” Baker states in the filing. “[The contract] carried an acceptable failure rate of 0.5%,” but in the first year, the meters were “failing at a rate of 9.0% per year.” Baker made reports to Sensus management about quality and safety issues, but he was ignored and eventually fired. What was technically wrong with the smart meters that Sensus was producing? The suit alleges four categories of defects and failures: 1) Electrical Fast Transient Failures; 2) Flux Contamination and Inaccuracy Issues; 3) Faulty Components; and 4) “Hot Meters.” These technical issues are explained below. The suit goes on to make three charges against the defendants: 1) False Claims; 2) Conspiracy; and 3) Suppression, Fraud, and Deceit. These legal issues are explained in more detail below. 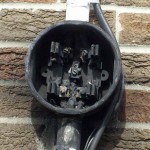 Corporate recklessness—and lack of regulation to curb it—has remained a core issue in the smart meter debacle. From the Silver Springs Network antenna which increases the power of the radio over FCC limits (see page 14 of this CPUC doc), to arcing problems due to unprofessional installation, to multiple FCC violations, to the lack of any independent safety testing—it is clear that if there had been effective government regulation, it could have changed the face of this “deployment” dramatically. If you don’t like the idea of more government regulation, then how about consumer choice? If individual customers could choose between utilities, even choose their own meter—again, the landscape would also look very, very different. But instead we are saddled with corporate utility monopolies, aided by government collusion, which adds up to a poisonous combination—whatever your political beliefs might be. It is an arrangement designed to enrich corporations, with impunity. 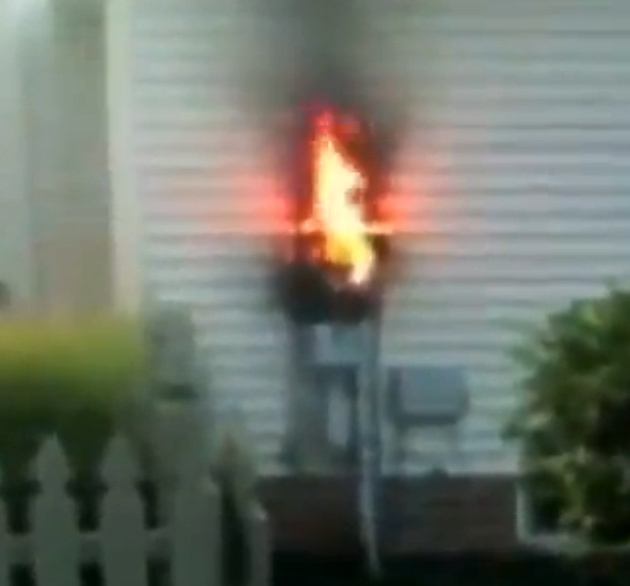 Why isn’t the public up in arms about these risks of smart-meter fires and explosions? There have no comprehensive investigations by major media. Early in 2011, a major news station in the SF Bay Area was doing work on this. 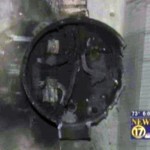 They interviewed us several times as part of an investigation into smart-meter fires. What happened? The story never aired, and calls to the investigative reporters were not returned. Without coverage in the mainstream media, people will be left to find out about this issue through social networks or independent media–or worse, suffer their own fire or property damage from the meter. This is yet another reason why the proposed opt-out here in CA is—even with analogs—incomplete and inadequate. Given the growing evidence of fire risk and safety, this is not a device we should be forced to pay to avoid. 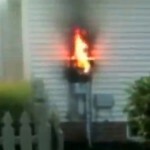 Smart meters should not be installed on any home, any where, without a thorough safety investigation. 1) Electrical Fast Transient Failures: The manufacturer and the utility were both aware, the suit alleges, that the smart meters (iConA) were unsafe and could fail dangerous when subjected to a power surge. 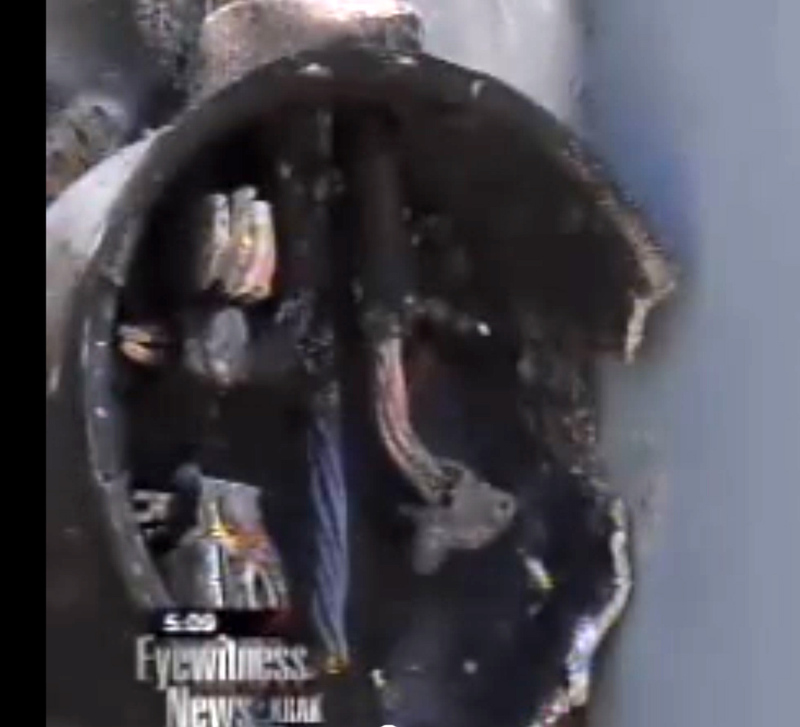 [This was certainly evident for another make of smart meter, the one installed in Palo Alto last October.] One critical test was skipped for the Sensus meters, the Electrcial Fast Transient Test (EFT). When this test was performed on a sample of the iConA Sensus meters, they all failed. This was after over 80,000 meters were already installed. 2) Flux Contamination and Inaccuracy Issues. The complaint states that production of the iConA meters was sloppy. Sensus performed two investigations and found 130,000 meters contained loose solder residue called “flux.” They also found that equipment used by the manufacturer to calibrate was not properly designed, calling into question the accuracy of the meters. This was after 400,000 meters were installed—non of which were recalled for testing. Baker himself has investigated over-reporting meters, and found individual meters giving readings seven times the actual electrical usage. 3) Faulty Components. Baker alleges Sensus and the utilities had reason to suspect that some components that were going into the iConA meter were faulty, with very high failure rates. Well into the delivery process, it was found that an electrical resistor was defective on at least 85,000 meters. Over 170,000 meters were also found to contain another faulty component made by Epson. 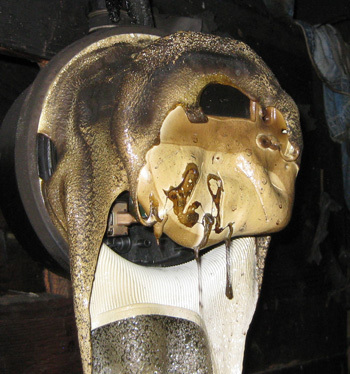 4) “Hot Meters.” These Sensus meters, the complaint alleges, posed a risk of injury or death. Sensus knew that 19,000 installed meters were reporting a “hot socket alarm”—that is, the internal temperature was getting over 200°F. 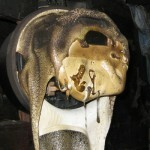 Sensus received reports of overheating to the point of melting and burning. The plaintiff Baker documented himself meters reduced to lumps of blackened plastic, while the company insisted a meter couldn’t melt at less than 500°F. Ultimately it was bringing to the attention of his supervisors a burned meter that resulted in a house fire that ended Don Bakers career at Sensus. Instead of conducting an investigation, they fired him. 1) False Claims. The defendant in the suit, the plaintiff alleges, presented false or fraudulent claims to the U.S. government that their smart grid project was eligible for ARRA funds when it was not. The equipment was defective and unfit. 2) Conspiracy. The defendants acted with the intent to defraud the U.S. by submitting false records to obtain the funds. 3) Suppression, Fraud, and Deceit. The defendants misrepresented or suppressed the fact that the smart meter that formed the basis of their smart grid architecture was dangerously defective.